Excellent acoustics create resonating sounds across its four-tiers of seating, while crystal chandeliers and wide stairways add to the ambiance of elegance. The Los Angeles Music Center that it is part of it is one of the three largest centers for performing arts in the United States, and some of classical music’s greatest performers have graced its stage. 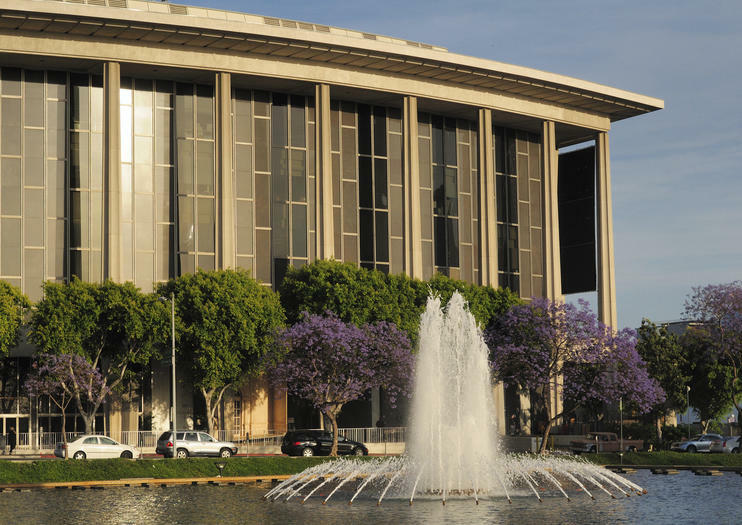 The Dorothy Chandler Pavilion is located on Grand Ave in Los Angeles. As with most of LA, driving is the best way to get there and both self-parking and valet is available. Tours of the Los Angeles Music Center of which the pavilion is part of take place Tuesday to Saturday at both 10:30 am and 12:30 pm.